Magic Valley Electric Cooperative presented a check for $5,000 on Wednesday, July 18. The presentation was made by John Herrera, General Manager of Magic Valley Electric, and Ken Gajdos, with CoBank. Magic Valley employees raised $2,500 through fundraising activities at the Cooperative and received a matching grant through CoBank’s Sharing Success Program. 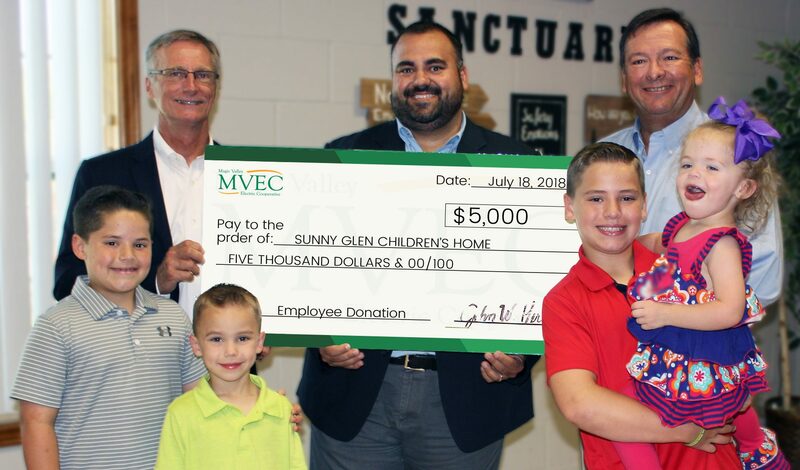 Giving back has always been at the heart of MVEC employees. Last year, MVEC employees raised over $25,000 to support various local non-profit organizations. About Sunny Glen Children’s Home Sunny Glen Children’s Home was established in 1936 to provide neglected and abused children with a safe and loving environment that emphasizes Christian values and the American work ethic. Our staff of specially qualified individuals is committed to the children’s physical, spiritual, and emotional growth and well-being. The Home provides long-term residential care, a variety of counseling services and supervised development programs while pursuing the goal of family reunification when possible. About Magic Valley Electric Cooperative Magic Valley is a not-for-profit, member owned electric cooperative dedicated to providing safe, affordable and reliable electric service. 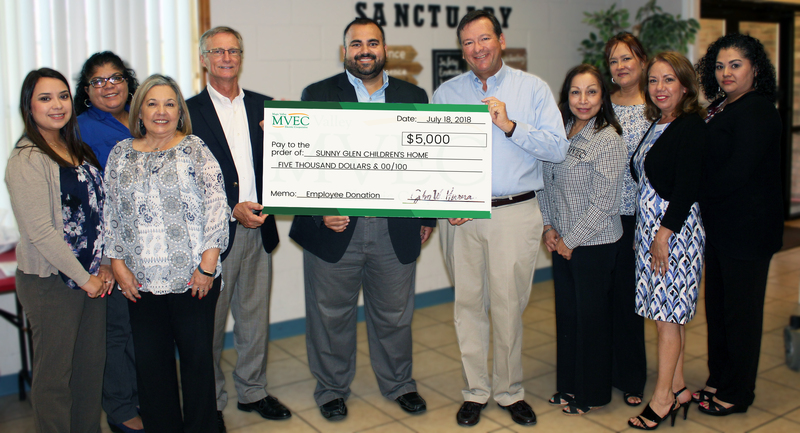 For over 80 years, Magic Valley Electric Cooperative has been an integral part of the Rio Grande Valley community and will continue its commitment to support local non-profit organizations. About CoBank Sharing Success Program The Sharing Success program is an annual $3 million fund designed to match the contributions of CoBank customers to the charitable groups they support throughout rural America. CoBank launched the program in 2012 in conjunction with the International Year of Cooperatives. It is one more way the bank creates value for its customers, by partnering with them to strengthen the communities they serve.